A new exhibition of portraits by Elizabeth Peyton, her first for the gallery, is up at Thaddaeus Ropac in Salzburg. ELIZABETH PEYTON—EVENTYR, through August 25. GALERIE THADDAEUS ROPAC, VILLA KAST, Mirabellplatz 2, Salzburg. 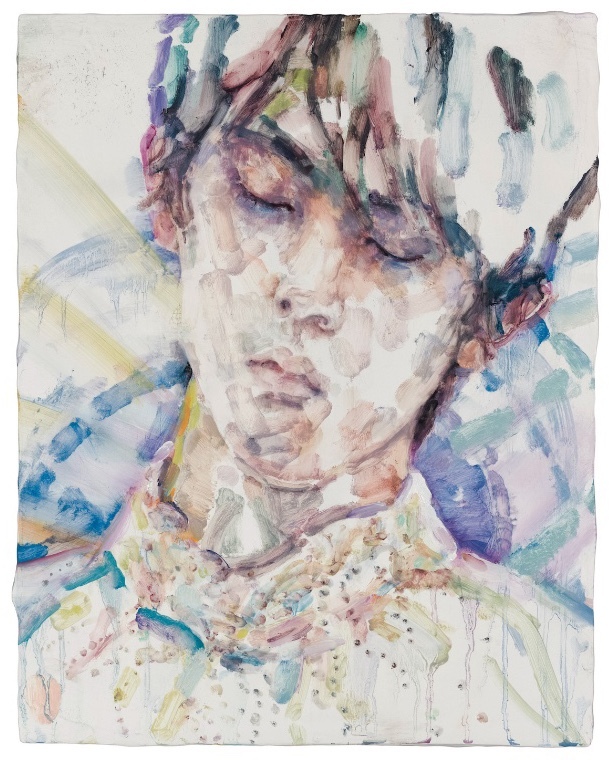 Above: Elizabeth Peyton, Hanyu (Yuzuru Hanyu), 2018. Below: Elizabeth Peyton, portrait of Elias Bender Rønnenfelt. Courtesy of the artist and Galerie Thaddaeus Ropac. This entry was posted in ART and tagged Elias Bender Rønnenfelt, Elizabeth Peyton, Galerie Thaddaeus Ropac, Yuzuru Hanyu on August 5th, 2018 by Barlo Perry.